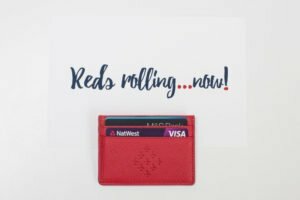 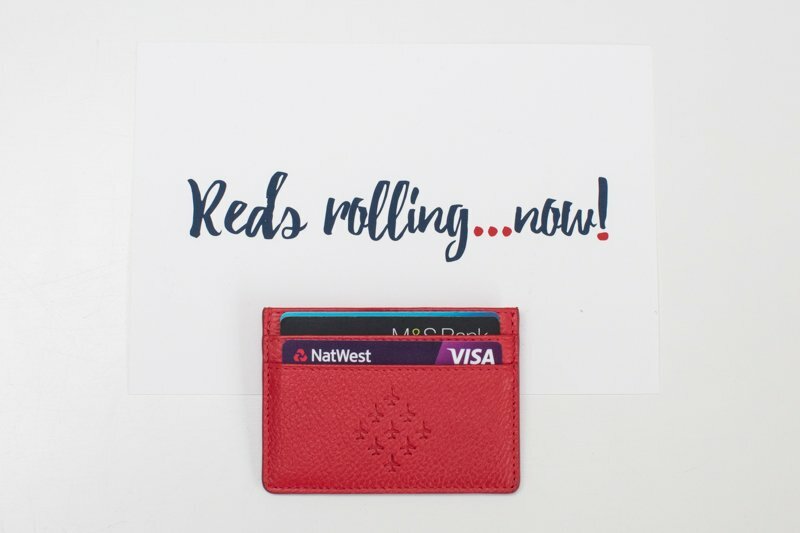 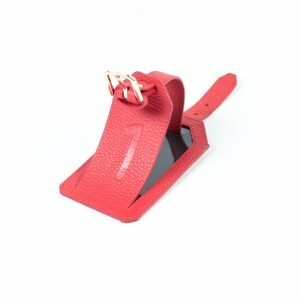 Brilliant red, brilliant cardholder. 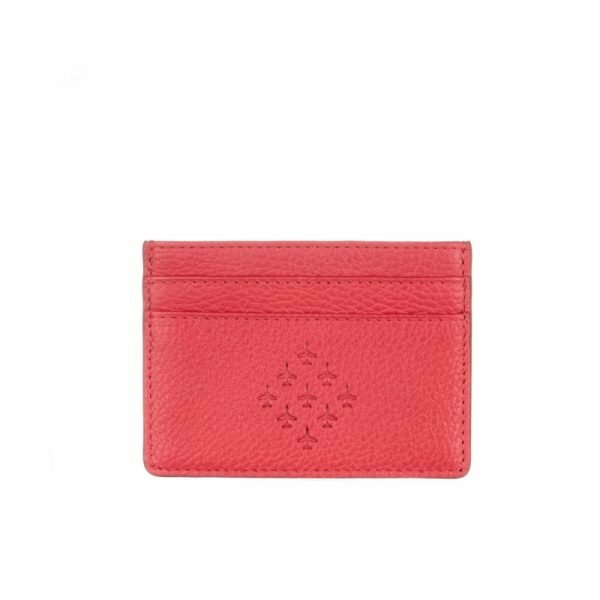 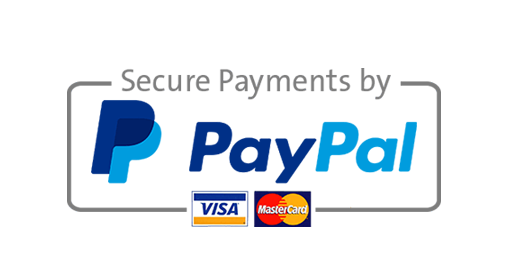 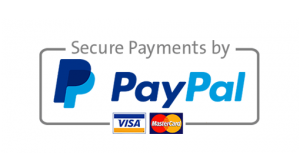 Made from 100% genuine leather this double sided cardholder can comfortably hold 8 cards. 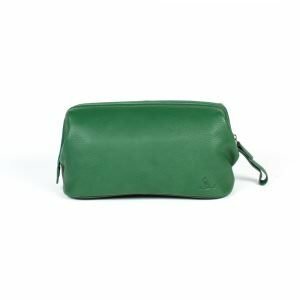 The central, lined pocket is perfect for notes and receipts. The embossed leather has been specially dyed to match the Red Arrow ‘Red’. 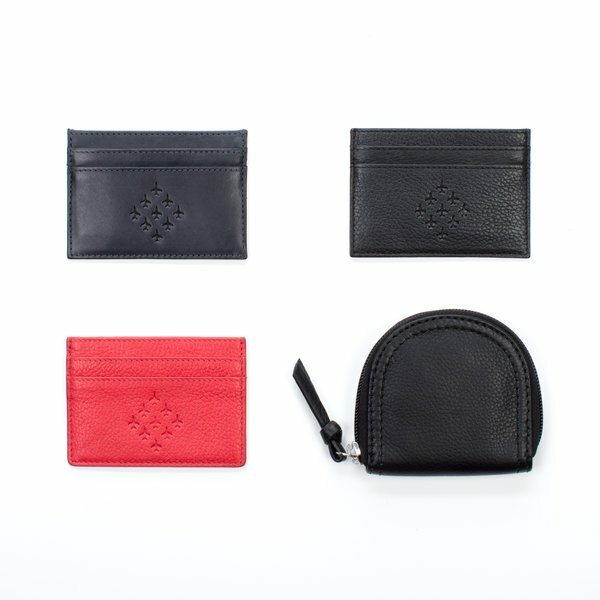 Made from 100% genuine leather this double sided cardholder can comfortably hold 8 cards. 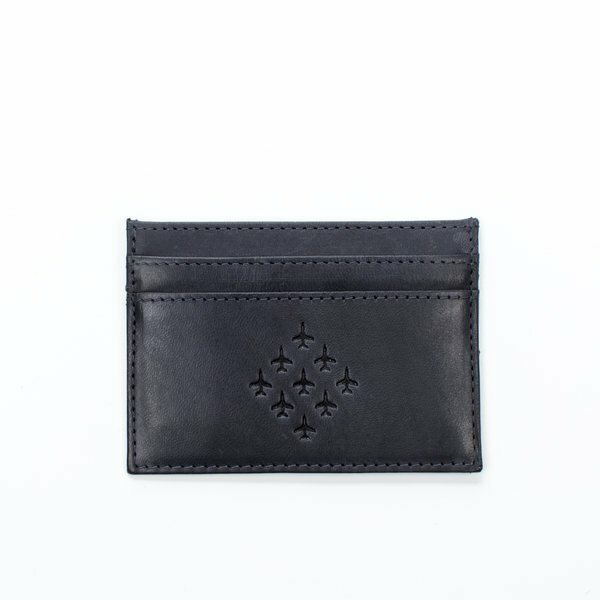 The central, lined pocket is perfect for notes and receipts. 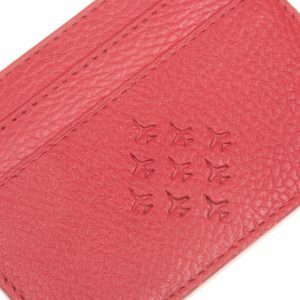 The embossed leather has been specially dyed to match the Red Arrow ‘Red’ and proudly displays the teams Diamond 9 logo on one side. 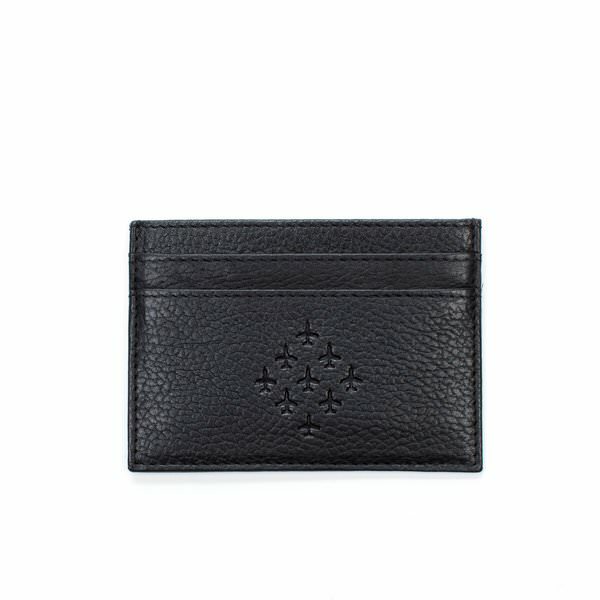 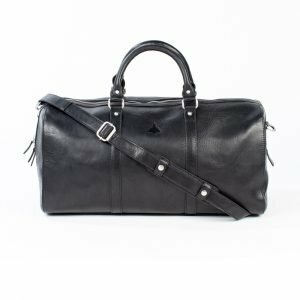 Also available in black embossed leather or Italian leather in navy blue. 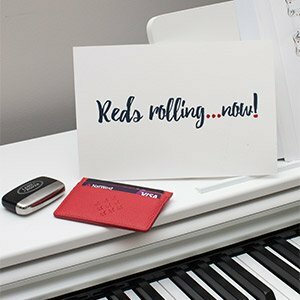 A perfect gift for any Red Arrow fan, useful and beautiful.